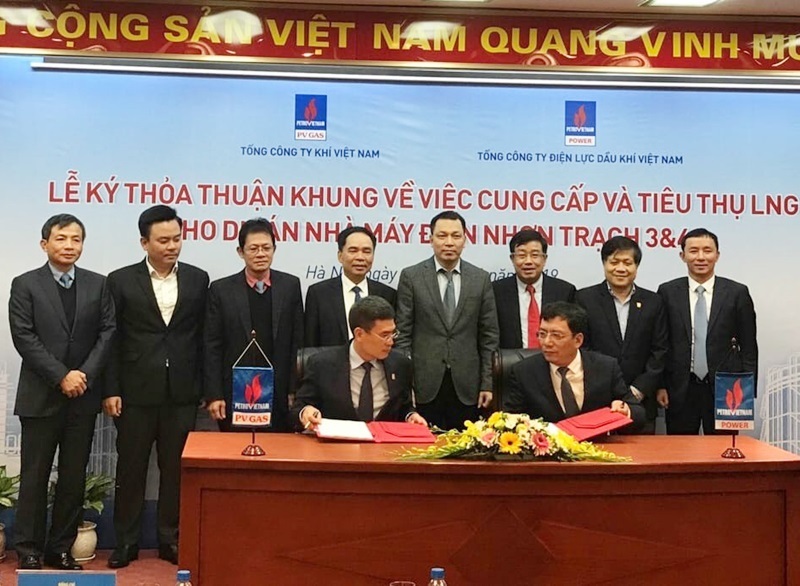 On January 10, 2019, in Hanoi, the signing ceremony of the framework agreement on supplying and consuming LNG for Nhon Trach 3 and 4 power plants between Vietnam Gas Corporation JSC (PVGAS) and PetroVietnam Power Corporation JSC (PV Power). As a major shareholder of PV GAS and PV Power, PVN commits continuously to support and create favorable conditions for two units to implement constructing and putting into operation Nhon Trach 3 and 4 in planned time. As the main corporations PVN, PV Power and PV GAS have been entrusted by the State to implement the Nhon Trach 3&4 Power Projects (invested by PV Power) and Thi Vai LNG Port (invested and managed by PV GAS) with the goal to create an economic value chain as well as development orientation for Power - LNG industry in Vietnam in the future. The close relationship between PV GAS and PV Power has been founded since 2008 and 2010 years when the first gas flows were brought to Nhon Trach 1 & 2 Power Plants. In10 years of cooperation, PV GAS has provided more than 12.7 billion m3 of gas for Nhon Trach 1&2 power plants. Thi Vai LNG port-warehouse expected to be put into operation in 2021/2022 with the capacity of 01 million tons per year and in 2025 with the capacity of 3 million tons per year will become an important chain link to provide LNG for customers including 1500 MW Nhon Trach 3&4 power plants. Together with Thi Vai LNG port-warehouse, the Son My LNG port- warehouse in Binh Thuan province with an expected total capacity of around10 million tons per year, the primary energy demand for the Southern region in the future will be basically ensured. ® Note the source: VietnamEnergy.vn when using information from this website.